Independent Watkins Consultant Eleisia Whitney #335001 - Watkins Products and Home Business: J.R. Watkins Natural Home Care Line is Growing! Everyone loves our J.R. Watkins Orange Citrus Tub and Tile cleaner. Customers say the sweet sent of natural essential orange oil offers an unmatched clean scent. We've answered the call with our new J.R. Watkins Orange Citrus line. Our natural plant-based dish soap, hand soap, all-purpose cleaner, all-purpose cleaner concentrate and room spray will be available in this Orange Citrus scent! 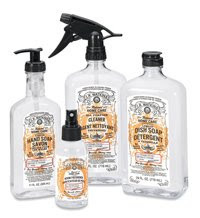 Enjoy the same great cleaning products you've come to love, but now in a fantastic new scent! Look for these new products in the second half of 2008 in the Sales and Promotions catalogs.